Open Influence is an end-to-end influencer marketing platform that uses artificial intelligence to enable global brands and agencies to quickly and easily identify relevant influencers. Influencer marketing has become a popular way for corporate brand marketers to work with influential leaders on social media to reach a specific audience. These influencers are critical in executing influencer campaigns that drive predictable and consistent return on investment (ROI). A key differentiator of Open Influence’s platform is its label criteria, which allows its customers to use real-time visual search on hundreds of millions of images. The labels are cross-referenced with first-party engagement data to predict not just general influencer engagement, but detailed engagement metrics of when influencers post about specific topics and products. This feature is powered by Amazon Rekognition, the AWS deep-learning based computer vision service. Amazon Rekognition has enabled Open Influence to decrease the amount of time it takes for brand marketers in corporations or agencies to source influencers from days or weeks to a few seconds. Open Influence uses Amazon Rekognition to identify objects, activities, and scenes in images. 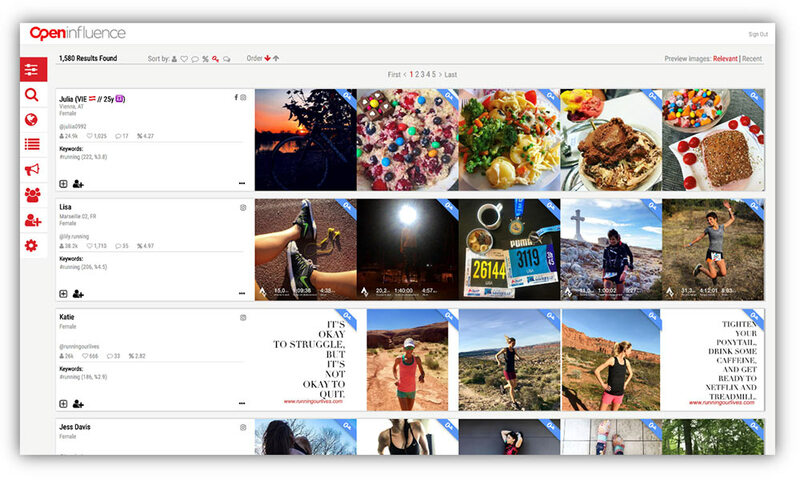 The items it identifies are then integrated into their search filters as “labels.” The labels include thousands of options and allow customers to search based on image attributes rather than just hashtags or demographics. As an example, I’ve gone into the Open Influence platform to find influencers for a campaign to promote a new running shoe. 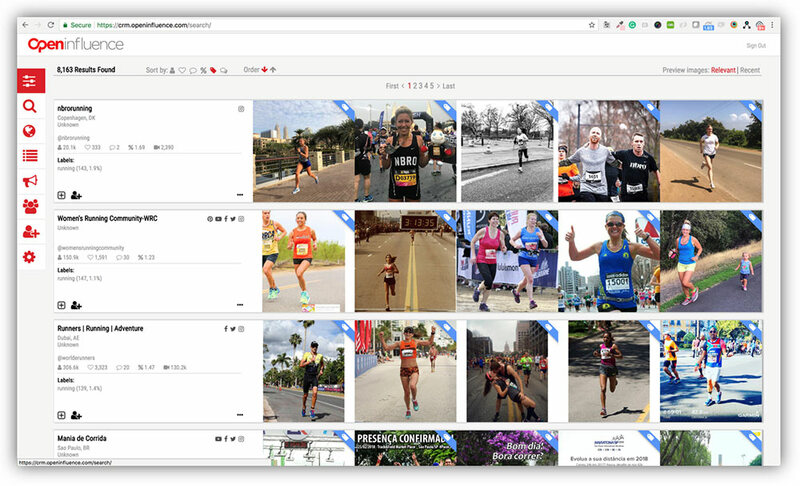 In the following screenshot, you can see that searching for #fitness and #running has identified a few possible candidates, but the majority of the images aren’t helpful or relevant to my search. This search has been done without using label criteria, and shows the difficulty in sourcing relevant influencers based off hashtags. Now, to illustrate the difference, the next image is the same search as before, but uses the real-time visual search powered by Amazon Rekognition that allows me to filter for certain labels. I have included the label “running” in my search, and you can see that that the search quality is significantly better compared to my search without using labels. This high quality search is made possible by using the DetectLabels API action from Amazon Rekognition, which analyzes images and tags them with the corresponding objects, activities, and scenes. In this example, running (scene) and person (object) have been detected.